There are some guys who can put on a tiara and still look good. Jamie Ford, Keith Cronin--these guys can pull it off, and that's why they got the chance to be Women for a day here on the blog. One of my favorite things about this writing journey has been the people I've met along the way. The ladies here, of course. But also people from conferences, from The Writer's Guild of Texas, writers from signings and from here on the blog. When I was first getting serious about this whole writing gig, shoring up the courage to stab my thumb at my chest and use the word 'writer,' The Lesser North Texas Writers were a source of incredible help and education. For one thing, it's where I met Joan and through her became a part of this group. That first night, she and I clicked, and that was a tremendous gift. What has always been so interesting to me, though, is that we were usually the only two there writing our kind of stuff. And yet I got so so much help from folks there who wrote in genres I didn't even read. And in many cases, they weren't likely readers of my work, either. But I enjoyed their stories so much, not to mention their company, and I had no idea then that one day I'd love to see a tiara on them. Except they'd look ridiculous. But it's Halloween. It might be a costume only, but there's no other day in the year when I could stick a tiara on these boys and not get slugged. It's Halloween, so let's get spooky. Take Anthony Miller. Let's just say it's a good thing he's the father of boys, because if he had to play tea party, things could get wicked. Which is appropriate, because his book is all about Satan. On whom one does not perch headgear. 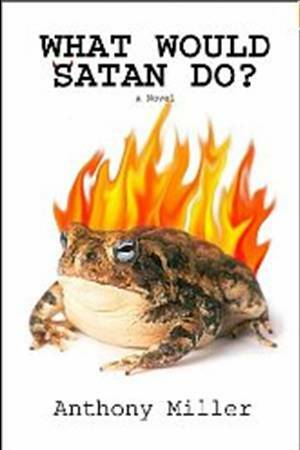 Getting to read and critique What Would Satan Do? in draft form was a hilarious privilege. Many times I begged him to let me bring home a copy of his night's reading so I could share it with my husband (who is a prodigious reader, but not a writer, and who would definitely never wear a tiara if he were). And when Anthony let me know his book was available on Kindle, I just wondered how we were going to keep the 13-year-old from reading it too. (I'm assuming Anthony's kids won't be permitted to read Daddy's book until college, either. Definitely not rated PG-13.) If you like to laugh and don't mind a little gore with your giggle, this is definitely a book to get. Just put away your stilettos while you read this one, or someone could get stabbed. Another Lesser who wouldn't be caught dead near pink is Bill Lee. The first night I met Bill, I read a story I'd begun about a girl who was raised in a cult. When I finished my nine or ten pages, he stared at me with a look that must have reduced more than one Marine recruit to tears during his twenty years in the service. "I'm very offended," he said, and I think the milk in my coffee curdled. But then he grinned, and I was in on the joke, too. In his wonderful gruff voice, he complimented my story and writing. Still, even now I'm never quite sure what Bill is thinking, even when I run into him having dinner at the clubhouse he shares with my in-laws. (A real treat was seeing him perform in community theater with my mother-in-law; his acting chops from that first night were on good display on stage last spring.) What I do know, though, is that the man's voice comes through in every word he writes. He's got a couple of books out, and if you like things military or know someone who does, or if you just want to hear one of the saltiest writing voices out there, Bill Lee is for you. And then there's Bill Francis, who I hope won't get mad if I say comes closest to not looking ridiculous in frippery. He's definitely a guy writer, but sometimes when he'd read pages, he nailed the female voice with scary precision. She was just usually naked or in peril, which is what makes him more leather-collar than pink-boa. Bill also did a good job of acting like a girl when it came to writerly confidence; one of the most talented writers I've ever read, I'm not sure he knows, even now, how extraordinarily gifted he is. Hopefully his publication in an upcoming anthology will help convince him how awesome he is, and spur him to finish up the collection of stories that I cannot wait to see in hard copy. The guy is that good. You should read him. There are others there, too, Jeb and Robert and Philip--not a one of them a guy I would ever stick sparkle on. But they've helped me shine my work, and even if it's scary to picture them with flowers, I'd love to give them all a bouquet, even if it's wilted and black. They like it that way. 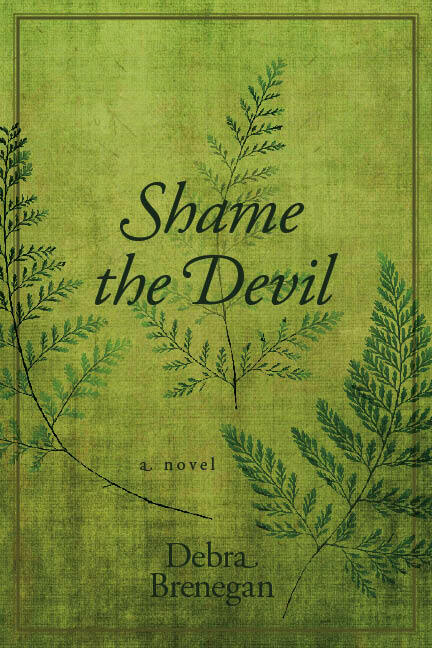 Shame the Devil tells the remarkable and true story of Fanny Fern (the pen name of Sara Payson Willis), one of the most successful, influential, and popular writers of the 19th century. A novelist, journalist and feminist, Fern (1811-1872) outsold Harriet Beecher Stowe, won the respect of Nathaniel Hawthorne, and served as a literary mentor to Walt Whitman. Scrabbling in the depths of poverty before her meteoric rise to fame and fortune, she was widowed, escaped from an abusive second marriage, penned one of the country’s first prenuptial agreements, married a man eleven years her junior, and served as a 19th century Oprah to her hundreds of thousands of fans. 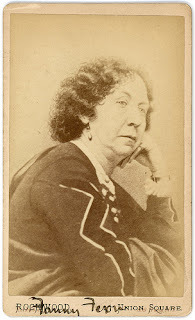 Her weekly editorials in the pages of The New York Ledger over a period of about twenty years chronicled the myriad controversies of her era and demonstrated her firm belief in the motto, “Speak the truth, and shame the devil.” Through the story of Fern and her contemporaries, including Walt Whitman, Catharine Beecher, Harriet Beecher Stowe, Harriet Jacobs and Nathaniel Hawthorne, Shame the Devil brings the intellectual and social ferment of mid nineteenth-century America to life. Um, yeah, this sounded right up my alley! 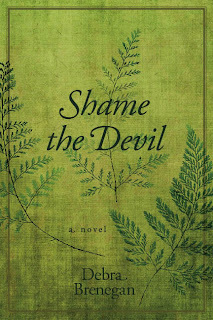 I quickly finished the book I was reading so I could dive into Shame the Devil the minute it arrived. I was a little nervous when I read on the internet that the novel began as Brenegan’s doctoral thesis. Would it be too academic for the average reader? While it is obvious that Brenegan is highly educated, the writing is both accessible and entertaining. Characters are well drawn, especially Fanny Fern. The reality of life for many 19th century women was at times difficult for this 21st century reader to stomach, but Fanny’s circumstances made her that much more remarkable. As I read the novel, I often wondered how it was I had never heard of her before while men like Whitman, whom I frankly wanted to slap, are celebrated in our literary canon. I laughed, I raged and I cried while reading Shame the Devil – all sure signs of a good read. Debra Brenegan is Assistant Professor of English and Coordinator of Women’s Studies at Westminster College in Fulton, Missouri. 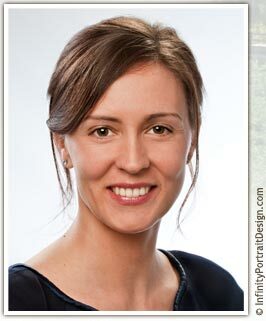 Her work has been published in CALYX, The Cimmeron Review, Southern Women’s Review, Phoebe and other publications. Welcome Debra! How did you first learn about Fanny Fern? Were you drawn to her at once? In graduate school, I took a nineteenth-century American Literature class with a professor who told me, “I know a writer you’re just going to love.” This writer, Fanny Fern, wasn’t on our reading list that semester, so, he added her book, Ruth Hall, to the reading list of a course I took with him the next semester. And, he was right – I adored her! I became so interested in Fern and her amazing life that I started writing papers about her. I applied for and got a graduate school fellowship to visit Fern’s archives at Smith College in Massachusetts. As I learned more about Fanny Fern, I couldn’t stop telling people about her. And people were amazed with her rags-to-riches story. They couldn’t believe that they had never heard of her. When it came time to write my dissertation, I combined my interest in creative writing, literature and Women’s Studies to write a historical novel about this forgotten journalist, novelist and feminist. I wanted everyone who hadn’t heard of Fanny Fern to learn about her; I wanted to bring her back to life. What made you decide to write this book as a novel instead of a biography? My publisher asked me the same thing! Although I had done enough research to write a biography, I wanted to reach a broader audience. There are already several scholarly biographies out there about Fanny Fern, but they are written for and appeal to a more academic audience. I wanted Fern’s story to be as broadly-known as possible, to present her to as many people as possible. I felt that by putting her story into a story-format, it would be more assessable – and more likely to be read. Why do you think Fanny has been forgotten by time while others, like Walt Whitman, are celebrated? I don’t think there is any one reason for this, but, rather a collection of possible reasons. First, she wasn’t a literary writer, so when editors and scholars began formally and informally to assign works to the “canon,” she was probably passed over for being a popular writer. Second, she was a woman, and, again, during the canon formation period, most of the attention went to white, male writers like Hawthorne, Melville, Thoreau, and, yes, Whitman. Many women writers, along with many other marginalized writers, were forgotten about. Third, since the idea of women working and having careers in general was still considered unfeminine, even vulgar, during Fern’s life and in the years after it, she and her family were judged, sometimes harshly, for her endeavors. 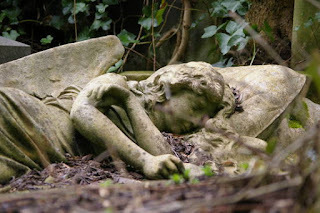 When she died, she made it known that she wanted her literary fame to die along with her. Her family, abiding by her wishes, didn’t encourage her literary memory in the same way that, say, Walt Whitman’s followers and fans did after he died. You portray the reality of life for most women in the mid 1800’s as pretty grim. Happiness depended solely on the character of the man a woman married, and that choice wasn’t always hers to make. Then, of course, there was the matter of praying that man stayed alive. Without giving away the plot too much, what parts of a woman’s plight (not necessarily Fanny’s) were the hardest to write about? The hardest parts for me to write were probably also the most painful parts of life for Fanny and the other characters. I don’t want to be a spoiler, so I won’t give specific details, but Fern and some of the other characters had to face a number of very difficult moments – abuse, poverty, and the loss of several loved ones. I had to put myself in their shoes and to write about their pain and desperation. That is never easy. You wrote from several points of view. Which did you enjoy most and why? Who came as a struggle for you? Although this book is definitely Fanny’s story, I did enjoy presenting chapters from the perspectives of several different characters. My favorite characters to write, besides Fanny, were Fanny’s older brother, N.P. (Nat) Willis, and her daughter, Grace. Nat was fun because he was a rich, spoiled celebrity and it was entertaining for me to research and portray upper-crust life from a different era. Grace was also a great and satisfying challenge for me, because she was emotionally sensitive and slightly traumatized. I wanted to portray her emotional and psychological struggles within the story of her mother’s amazing success and strength. I just finished a draft of another novel, tentatively titled Motherless. 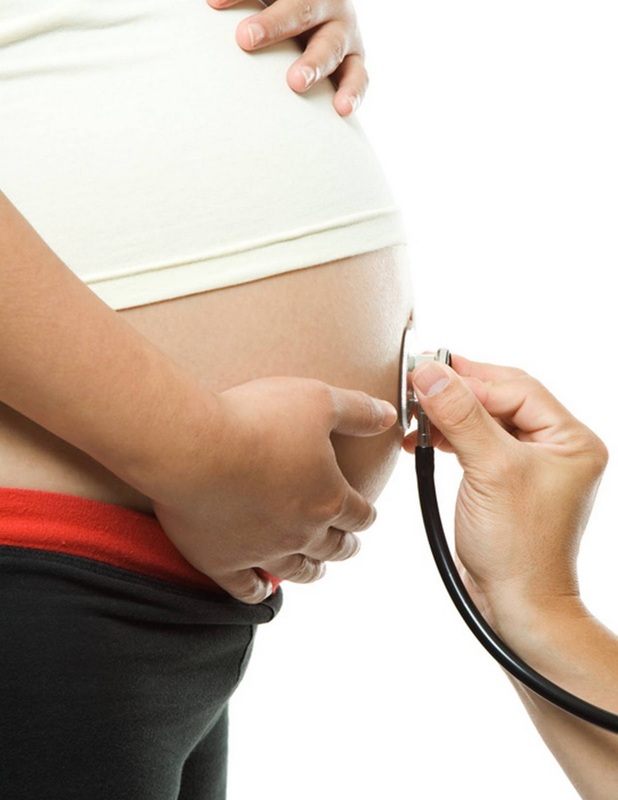 It is a contemporary fiction story from the perspective of a pregnant college student who decides to hide her pregnancy and have her baby in secret. Just yesterday, I sent it to an agent who requested the first reading. I, of course, have crossed all of my fingers and toes, hoping she will like it! I also have a short story collection that is being considered by several publishers. Thank you for stopping by What Women Write today, Debra. Shame the Devil is available at bookstores everywhere. Disclosure of Material Connection: I received a copy of the book mentioned above gratis in the hope that I would mention it on this blog. Regardless, I only recommend books I've read and believe will appeal to our readers. In accordance with the Federal Trade Commission’s 16 CFR, Part 255: “Guides Concerning the Use of Endorsements and Testimonials in Advertising” I am making this statement. Take a look at the photo below. 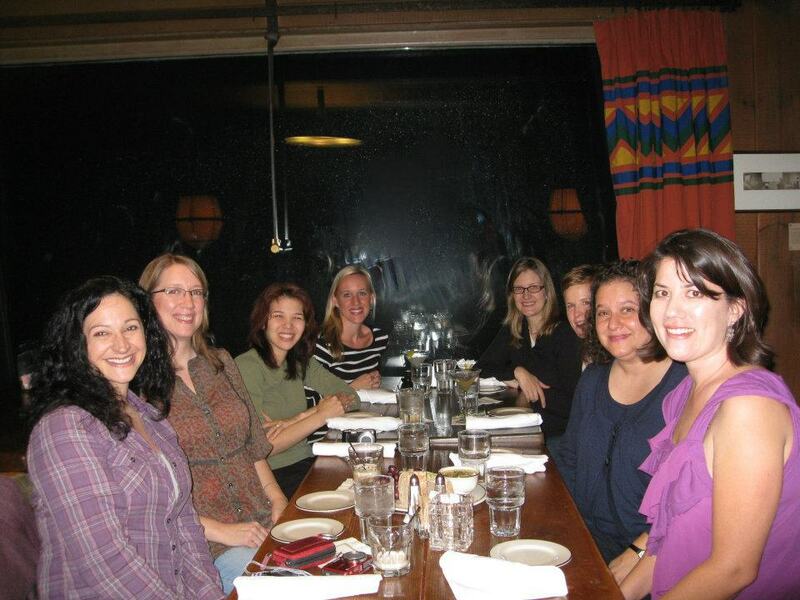 Looks like a nice group of women, friends gathered for dinner, maybe a ladies' night out, right? Yes, it's all that, but more. This photo, my friends, represents a powerhouse, before your very eyes. Mostly, we hung out--working some, writing some, hiking some, eating a LOT. But the best part of the weekend for me was the conversation. As a writer about to be published, it was educational and enlightening to spend three concentrated days with a group of women who have mostly already been down that road. And honestly, it was refreshing for the mystique to be slightly removed from this species as I realized how much we published and "pre-published" writers are still alike in our fears and insecurities, our dreams and goals. No, it wasn't them. It was when, at several points during the weekend, I turned to new friends and said, "Isn't it overwhelming sometimes to realize how many amazing novels are out there just waiting to be published and/or read?" We all agreed that while the Internet is an amazing tool, has opened doors wide for writers to market their books and network with readers and other writers, it can also be a cause for panic in that moment when you begin to comprehend JUST HOW MANY novels are sent into the world each and every month, to find their way into the hands of the right readers, to swim or maybe to sink--oftentimes due not to the quality of their content, but to a little bit of luck or circumstances. It wasn't the first time I've encountered this feeling. But it was only driven home as I sat and marveled at the sheer amount of talent in this small group of nine. This powerhouse of nine. There was Kristina McMorris, the generous hostess who organized us and contributed more to this weekend than I'd ever be able to address in a simple blog post. 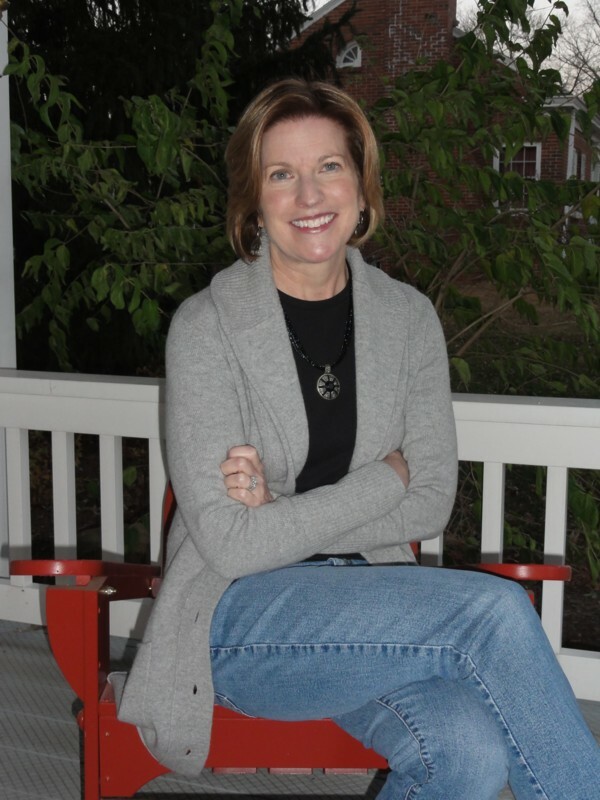 Kris has already published one award-winning novel, Letters from Home (which Kim featured in an interview on www earlier this year), and she has a new one waiting in the wings, Bridge of Scarlet Leaves. Erika Robuck's second novel Hemingway's Girl comes out in 2012, and she astounded us as she talked about the research that goes into her work. (Joan interviewed her here!). The veteran author of the weekend, Marilyn Brant, will release her third novel, A Summer in Europe, in December, and it traveled home in my suitcase as an ARC I'm already enjoying, alongside a pair of "ugly socks." (She wanted to be sure we all had this one item critical for a writing retreat!) She pairs love stories with her love of travel and all things Jane Austen. Therese Walsh and Jael McHenry share an amazing agent with me in Elisabeth Weed. Their debut novels, The Last Will of Moira Leahy and The Kitchen Daughter, both with elements of magical realism, were published to great anticipation in the last few years, and both are already hard at work on their next stories. Sarah McCoy is a tiny girl with a huge heart, and she sent us all home with dried Hatch Chiles. She's already published The Time it Snowed in Puerto Rico, full of setting details from her own childhood, and her next novel, The Baker's Daughter, comes out soon and is already creating quite the buzz! Then there was Margaret Dilloway. She might be Japanese American and nearly a decade younger, but I'm pretty sure we are twin daughters from another mother. From the moment we discovered we had the same camera as we hiked along a trail together, stopping every 30 seconds to capture another detail, until we had to say goodbye, I can't count how many times we smiled and shook our heads when one or the other of us revealed another personality quirk or life experience in common. I truly believe I'll waste away before I get to read her multicultural debut novel, How to Be An American Housewife, and close on its heels, The Care and Handling of Roses with Thorns, a family drama due out next spring. And last, but not least, I met Sarah Callender, not yet published, but agented and revising. Down in my bones, I feel sure her fascinating story will be featured in Publisher's Marketplace sometime in the very near future. In the meantime, she entertains readers with her hilarious blog posts at Inside Out Underpants. She and Margaret and I bunked in the same condo and we're already scheming our next escape from real life. If that much talent could be gathered in one spot, how much more must there be in the world? It makes me a little nervous for my fledgling novel, Calling Me Home. But not so nervous I'd trade the experiences I've had meeting and getting to know so many marvelously talented writers since I started this journey. I love reading books with big sprawling plots. Books with secrets and teases, dropped-in trinkets that ultimately lead to clever endings. And if they feature paintings and jewelry and headstones, all the better. Stories that lure you into the past, drop you in the present, and tug you back again. Take any Kate Morton novel, for example. Not only is she a master of plot, but there are little gems like scarves and storybooks and brooches that appear at the beginning, go missing, and end up on different continents perhaps decades later. It’s no secret that I’ve pulled apart her books, mapped her chapters by character and setting. Because I write what I like to read, and why not learn from a master? I’m writing my fourth manuscript. Which by now should make me an expert. But, of course, I’m not. Confession: I’m feeling like this needs to be “the one.” Not that I would give up if it weren’t—I love writing too much—but it’s time. Julie’s success is surely motivation for all of us, but it’s more than that. I’ve worked it, really worked it. Revised, edited, put it out there for critique, revised, and edited again. I’ve backloaded sentences, cut extra words, freshened my dialogue, twisted clichés, moved chapters forward and back. But is it ready? Have I manipulated it too much? Now that I’ve started, I can’t stop. I’ve been writing notes on slips of paper to remind myself of my genius ideas. Of course the ghost would react when her relative shows up. Hello, I need a wrap-up scene for her, too. Charles Dickens just happened to write an article about the Great Exhibition, which features prominently in The Architect at Highgate. But if anyone can tell me what “only from walls” or “reflect—Luca seemed like museum” means, I’ll send you big thanks. At some point my big sprawling manuscript must be launched. Am I hesitating because I don’t want to make the mistakes I made with the earlier books, by sending them out too soon? Or in the wrong publishing climate? Or both? Maybe I’m afraid this won’t be the one. What then? I've been working way too hard on my revisions and edits lately. Say there is no such thing? I've over-thought plot, underdeveloped character, overwritten description and sidestepped themes. I've dreamed of my manuscript--a river, an abbey, and my characters: mouths moving but without voices. So last week, I wanted to give my mind a break while moving my body. I wasn't moving forward anymore--only spinning my wheels. I work out regularly at the gym, with a personal trainer named Stephen who has been my guy for almost five years. I know how to squat, bench, curl, and press, and the curve of my shoulders can prove it. I like to carry my own fifty-pound bag of dog food, as I tell my daughters. I'm a firm believer that you need to haul your own luggage in the airport, I say, because nobody else is going to carry it for you. And I've moved through my manuscript this way too, lately. All power, all force, carrying it all by myself. Yet lately, I've needed a change, both in my workout routine and in my manuscript. I've taken yoga since 1992. Over the past nineteen years, I've studied and developed my practice and, even though I may not stretch every day, my body still knows a full sun salutation by heart. Over the past few weeks of struggling with my manuscript, I realized it didn't need more muscle. It needed to stretch and breathe. And so last Monday I started a Bikram yoga class, which is a ninety-minute yoga class in a 105 degree room. I went five days straight. Sweat poured from my body like a spigot. My hip flexors and hamstrings, tight from years of power lifting, cried out as I forced them to lengthen. I struggled to find my center of balance on the first day, but by day five it had come back to me. At the end of each daily class, as I lay in quiet shavasana, my mind wandered back to the manuscript. I'd been bullying my plot around for weeks, I realized. I'd forced my prose onto paper, punching the keys and boxing with words. And then it hit me right back: It wasn't working. Sometimes, you need a little finesse. A little stretching and reaching. 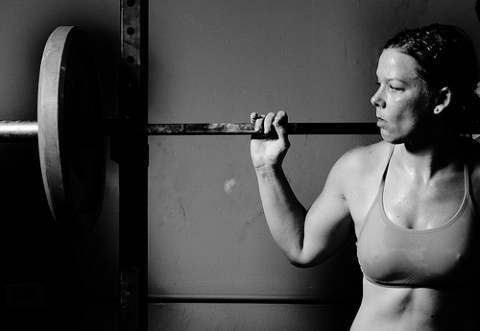 It still takes a lot of sweat, but with the power of a dance instead of the brute force of a bench press. After a week of daily Bikram practice, I sat down at my keyboard with peace. What was I trying to say? What picture did I want to paint for my readers? It wasn't about forcing the door open to my own creativity with a crowbar. It was simply allowing the words that were already there to form themselves on paper. I couldn't have done it with muscle. I had to do it with breath. I've rearranged my first twenty pages of the manuscript with the heart of a yogi, not the muscle of The Terminator. On Wednesday I had lunch with Pamela. Still full of doubt about the new words, the scene placement, and my own insecurities, I printed the pages and spread them out on the table. I told her my worries and then sat quietly while she read (as any writer knows, this is not an easy thing to do). She had suggestions. She scribbled in the margins. And this morning--48 hours later, I've pieced it all back together like a jigsaw puzzle. And guess what? It works. Sometimes, perhaps, we muscle through sections like a body builder. Yet at other times, we must remember the flow of words and the lyrics to the song. This week, I did just that. And it's a better story because I stopped to breathe. So all day long I thought it was Tuesday. It felt like Tuesday. Even though I made sure my daughter had the binder she takes to school only on Wednesday, even though I reminded my son he had his after school activity that is on Wednesday--in my head, all day long, Tuesday. Which meant that I had "blog post" written on my to-do list, and as I merrily scratched off items throughout the day, so pleased with how much I was getting done, I knew I'd get to it tonight and have it ready to roll by Wednesday morning. The good news is, a lot of those other to-do items had to do with writing, and even when I was marking non-writing tasks off my list (get light bulbs and Diet Coke; pick up the dry cleaning; other equally glamorous events), my brain was firmly concerned with my WIP, and it was exciting and fun. Exciting and fun? Writing? Imagine that! Which is really pretty great. I've set a goal to complete a draft of this manuscript by our retreat, and I'm making great progress and I think I will make the goal. Which feels terrific. But what feels even better is how alive the manuscript is becoming, how every day the characters are getting more complex and interesting, their stories more knotty, the story arc more meaningful and satisfying and all around just good. So this felt like Tuesday, and I think that's because I'm so wrapped up with the WIP that I just forgot. I actually forgot! I really hope it happens again. A while ago, I pitched a magazine about an article on adult bullying I wanted to write. Once I got the go-ahead from the editor, I called up my expert to get his input. Little did he know, I already had a really good idea about how this article would practically write itself--loving parents stepping up and taking control of coaches and teachers who scream at and intimidate innocent kids. About twenty minutes into the interview, my expert--a licensed family counselor--completely turned my preconceived notions around and the article took off in an unexpected direction. Not only did the article end up being unpredictable, but I found myself recharged by the experience. A few weeks ago, while listening to Jamie Ford talk about his book, Hotel on the Corner of Bitter and Sweet, a member of the audience asked him if any of his characters were inspired by people he knew. Jamie described the old man in the story (as he related to his own grandfather) and also other family members who showed up in the book. As I am often wont to do (admittedly, this makes me sound vain), I pictured myself standing in front of an audience, fielding a similar question. Crap! My characters aren't all that special because: 1) MC is a lot like me; 2) secondary character's personality is similar to my son's, and 3) other secondary character isn't really based on anyone. Clearly, I had some work to do. My story is about a mother and her teenage son who find themselves dealing with an unplanned pregnancy. (Which is where the son stops being based on my own, so help me, God.) But the pregnant girl became someone who I just--for lack of a better word--was winging! And yet I have a friend who runs a crisis pregnancy center! I buried my reservations that I might be bothering a very busy woman who was out saving the world, one pregnant teen at a time, and sent her an email. She graciously responded and has put me in touch with families and resources that are taking my story in a completely different direction than I had planned. Her encouragement for what I'd already written--based solely on my gut and vision for this story--helped fuel my excitement. But most of all, just like my bullying article, I've come to the realization that perhaps the most predictable element about telling a story is to expect to be surprised. It’s 1893, and at the Chicago World’s Fair, Louis Comfort Tiffany makes his debut with a luminous exhibition of innovative stained-glass windows, which he hopes will honor his family business and earn him a place on the international artistic stage. But behind the scenes in his New York studio is the freethinking Clara Driscoll, head of his women’s division. Publicly unrecognized by Tiffany, Clara conceives of and designs nearly all of the iconic leaded-glass lamps for which he is long remembered.Clara struggles with her desire for artistic recognition and the seemingly insurmountable challenges that she faces as a professional woman, which ultimately force her to protest against the company she has worked so hard to cultivate. She also yearns for love and companionship, and is devoted in different ways to five men, including Tiffany, who enforces to a strict policy: he does not hire married women, and any who do marry while under his employ must resign immediately. Eventually, like many women, Clara must decide what makes her happiest—the professional world of her hands or the personal world of her heart. Susan Vreeland is the New York Times bestselling author of five books, including Luncheon of the Boating Party, Life Studies, The Passion of Artemisia, The Forest Lover and Girl in Hyacinth Blue. She lives in San Diego. Rarely have I started a book with such high expectations. I’ve never had the pleasure of meeting Susan Vreeland, but I consider her a mentor of sorts. She, along with Stephanie Cowell and Jane Urquhart, have shown me the world through an artist’s eyes, a crucial skill considering the novel I’m now writing. Given that I love art, history, and stories about strong women ahead of their times, I was inclined to love Clara and Mr. Tiffany before I even opened it. When I saw that the story began in New York City in 1892, I admit my heart began to race. This was not just Clara’s world, but my great-grandfather’s. The real Clara Driscoll, while searching at the Art Students' League for suitable girls to hire, may have caught sight of an unusually tall and striking young Canadian painter named Carl Ahrens. She could have met him through Louis Comfort Tiffany, William Merritt Chase or George Inness, all of whom Carl did know, or even George Waldo, whom Carl likely knew. He may have lived in her neighborhood. I couldn’t help but see him there. High expectations often lead to disappointment, but such was not the case with Clara and Mr. Tiffany. I found the story so engrossing, in fact, that after the first few chapters I contentedly inhabited turn-of-the-century New York without looking for my ancestor around every bend. Those who know me well will understand what a high compliment that is. I laughed over the antics at Clara’s boarding house, winced over the living conditions on the Lower East Side, cheered when Clara led the fight against sexism in the workplace, and cried over the death of a character I had come to love almost as much as Clara did. I also admired that Vreeland did not shy away from characters who would have been marginalized or even denounced at the time; poor immigrants, homosexuals, the handicapped. There’s even an interracial marriage. As for Mr. Tiffany, Vreeland neither put him on a pedestal nor denounced him, either of which would have made him rather a cardboard character. She let him be a man, flawed yet endearing, and he jumped off the page. 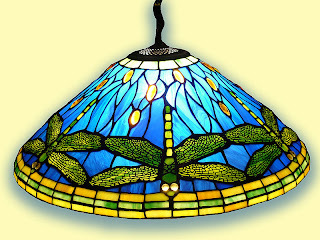 I have read a few grumbles about the length of time spent explaining the processes of making the famous Tiffany lamps. Some reviewers went so far as to say they felt like they were attending a college lecture. Yes, there’s a lot of detail about glassmaking, selecting, cutting, etc, and occasionally there are awkward bits of dialogue where the characters educate each other (and the reader.) I easily overlooked this because I’m fascinated by artistic processes of any sort. Those readers who aren’t so inclined may find themselves skimming though those parts of the novel. 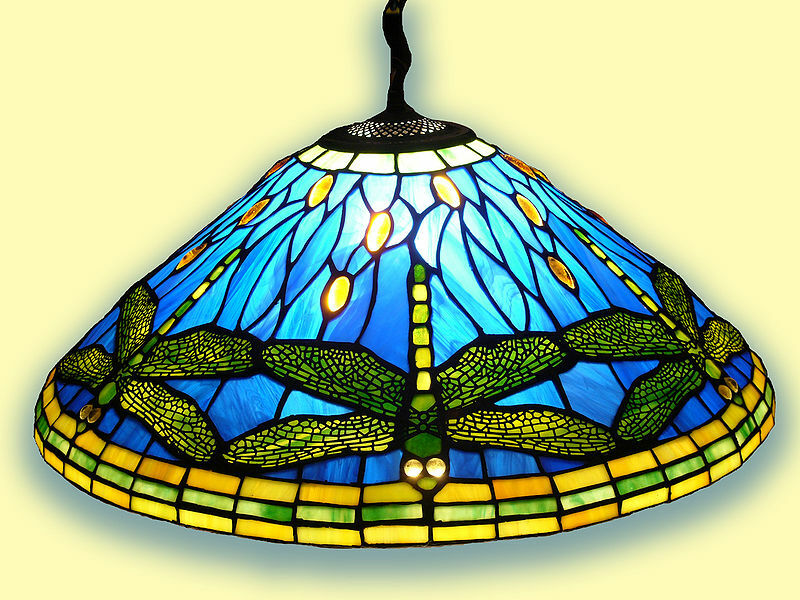 I will certainly not be able to look at a Tiffany lamp or window again without thinking of Clara Driscoll. If any of you have read Clara and Mr. Tiffany and would like to share your thoughts, we'd love to hear from you! If you have not, the novel is available at bookstores everywhere. Like Hansel and Gretel’s mother, we’re always dropping bread crumbs along the path, leaving a trail for our children to follow back to home and family—even if we’re not aware we’re doing so in the process. The poor mother of those fairytale chidren secretly left crumbs, intentionally and strategically, hoping they'd be able to retrace their steps toward home after their father decided the only way for the family to survive was to sell them as indentured servants to an evil witch who actually intended to devour them. Okay, maybe that’s kind of a morbid metaphor. But most of our regular readers here at What Women Write know several of us were inspired to write novels based on breadcrumbs of family lore—whether extensively researched stories, following the family story as closely as possible in a fictionalized account of real life (The Oak Lovers/Kim! ), or simply clutching a single gem of a family secret and using it as a springboard for a—more or less—made-up story (Calling Me Home/me!). We also love interviewing authors who’ve done something similar, such as Kristina McMorris with her novel Letters from Home, Jamie Ford with Hotel on the Corner of Bitter and Sweet, and Cathy Marie Buchanan with The Day the Falls Stood Still, to name a few. What exactly is it about our ancestors that draws us in, that makes us want to delve deep and attempt to discover what made them tick, what led them to make the decisions they made, who they loved and left (or were forcibly separated from, in the case of my grandmother) and who they stayed with? Not every one of us has these yearnings to uncover history—some of us would rather bury it, I suspect—but with some of us, the drive is deep and irresistible. I know, too, that it’s not a drive we can force upon our children. Will my grandchildren or great-grandchildren be curious about what I did in my life? Will I have done anything interesting enough to make them determined to nose out the details or dream up their own versions? Will they study my photos, as I study my ancestors’ photos, wondering why I decided to be a writer, why I lived in so many different homes and states before I finally settled here in Texas, why I … never mind. I’ll let them discover that on their own, maybe with the help of rumors they’ve heard through the family grapevine. Maybe they will. Perhaps they won’t. It’s the same with family traditions. We can guide our children as they grow up, hoping they’ll take an interest in the things we do every year at the same time, the recipes we cook, the photos we lovingly protect. But they may not take the bait. My kids are interested in family history—by spells. At some times more than at others. I was thrilled this week when one of my daughters decided to take on the not-simple task of preparing Whoopie Pies from the recipe one of my grandmothers recorded carefully in her notebook of food wonders. We don’t know where Grandma got the recipe, but we know it’s absolutely the best. (None of that marshmallow fluff, none of that regular old buttercream frosting. Our soft, cocoa-flavored cookies embrace genuine, rich, creamy icing, pure white from the ungodly amount of Crisco shortening it takes to prepare it.) But I know that as a child, one of my favorite moments of every family journey to see her was the one where I rushed through the front door and headed straight for the fridge, where a batch of individually wrapped Whoopie Pies always awaited our arrival. One taste, even now, is enough to conjure up memories of those childhood visits, good or bad, joyful or sad. I suspect you have those recipes in your family, too. Kim blogged once about the her family’s holiday sugar cookie recipe and the special cookie cutters she uses to prepare them. Are the cutters themselves magic? Is the recipe really is the best in the world? Or is it the combination of factors—the equipment, the recipe, and not least of all, the family history—that makes the outcome so special? I am thankful for the breadcrumb my grandmother left me—a handwritten recipe, delicious in part because of the memories it stirs (but trust me, it really is the best!). I am thankful for the breadcrumb my other grandmother left me—the gem of family legend that says she fell in love with a young man who was judged inappropriate by her family and society, the true love of her life, though she spent only a small amount of time with him. What are the breadcrumbs you’re following, leading you back in time into the vault of your own family history? And yes, of course, this is my daughter, busy making Whoopie Pies with Sadie, one of our fur babies, who stuck close by to be sure she cleaned up anything Emilie offered—accidentally or on purpose. 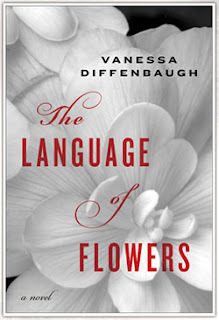 I learned of Vanessa Diffenbaugh’s Language of Flowers in a book review by one of my FaceBook writer friends, Erika Robuck, who recently blogged on WWW. Her review convinced me that this was a book I wanted to read. And wouldn’t you know, in an instance of synchronicity, a few days later I read that Ms. Diffenbaugh was indeed visiting Highland Park United Methodist Church, as the first guest in their Authors Live series. None of my WWW ladies could go, so I dragged along a good friend, another Elizabeth (we seem to be accumulating Eliz(s)abeth's these days!). The back cover is splashed with wonderful blurbs by some of our favorite authors (and former guests on WWW). “A deftly powerful story of finding your way home, even after you’ve burned every bridge behind you. The Language of Flowers took my heart apart, chapter by chapter, then reassembled the broken pieces in better working condition. I loved this book." In an intimate crowd, the elegant Ms. Diffenbaugh mesmerized the audience with stories of her life as an author, mother, foster parent, and founder of an amazing non-profit, The Camellia Network. Its mission is “to activate networks of citizens in every community to provide the critical support young people need to transition from foster care to adulthood.” Later in the year, Ms. Diffenbaugh will stop by to tell us more about her labor of love. Sometimes I go to these author talks and want so much to like the book, but it falls short somehow. Not so with The Language of Flowers. While the characters were full of flaws, the writing was flawless; in my book that makes for a dynamite combination. Victoria is a child who perseveres despite her painful life of moving from one foster home to another, finally ending up at a group home after a brief chance at a real mother/daughter relationship. She is prickly, dramatic and striking, a mixture of thistle, roses and peony. In Victoria’s world, flowers represent all emotion, flowers speak the words and feelings she cannot. One of my favorite passages came toward the end where Victoria imagines what her world of flowers could accomplish. Elizabeth, the woman who tries to adopt Victoria, is broken herself yet steadfast in her love, despite the girl’s self-sabotaging ways. While some parts of the book had me squeamish and cringing, Ms. Diffenbaugh beautifully knit the story between Victoria’s painful past and the present where she is a lesson in determination. This is a book for mothers and daughters. It’s a book for anyone who thinks they have caused someone else pain beyond forgiveness. Or for anyone who wonders how one person can help a child acclimate to the scary world, into which each year thousands of children emancipate from foster care with twenty dollars and a lifetime of pain. Over the past few days, I've thought about the notion of changing the world, having significance, and of simply creating rather than repeating. All of these thoughts were prompted by the death of Steve Jobs, CEO of Apple, and perhaps one of the greatest minds of our time. A man who's body of work changed the world. His creativity, genius, resiliency, and ultimately, his death, have had an impact on me-- me with my iPod, iPhone, and iPad. 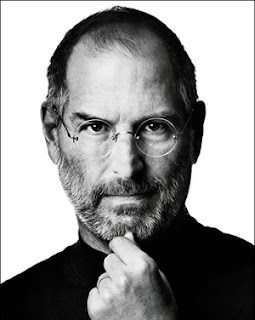 And it isn't just his technology that impacted me, but his vision, persistence, and perspective. I guess one can say that anybody can create. Anyone can write a book, or run a marathon, or drive cross country. The difference between those who do and those who say they can lies in the doing. I really believe that only with vision, persistence and perspective can anything ever be achieved--but its the doing that gets them done. Steve Jobs brought it home and showed us what it looks like when you live your life without giving up, without resting, and how to live up to your full potential. When he was fired by Apple--his own company--in 1985, he could have simply retired. Instead, he bought Pixar studios and in ten years produced Toy Story, the first fully animated feature film created solely on computers. Then he came back to Apple and created genius products that have become the gold standard in design and functionality for technology today. I've been thinking about this. About the quitting part, especially. What if Jobs had never worked again after being fired by Apple in 1985? The world would look different today. His ideas would have stayed with him. Instead, he did things. He didn't talk about creating, daydream, or wish. He turned those visions into reality. So I guess we really don't know if the work we do now will bear fruit. We can't predict whether our works-in-progress will be failures or successes. We don't know if training for a marathon means we will actually complete one. But I think in striving to create and succeed, we are already halfway there. I don't want to die wondering what my life would have looked like if I hadn't quit writing. Hopefully, I won't have to. I remember a speaker at the very first writer's conference I ever went to talking about upping the stakes in your story. Character stuck in a tree? Make it rain. Character getting her heart broken? Smash her car while you're at it. You get the idea. I've started having a lot of fun lately with my WIP. It's actually a manuscript I started a couple of years ago and set aside, worked on other stuff, and just recently came back to with the plan to be done with the first draft* by our retreat in December. Followed by the plan to query early next year. The best part of this is that it is, like I said, starting to be a lot of fun. A big part of the fun, though, is how outrageous it is at times. In fact, that very characteristic is what had me set it aside before. Would anyone really buy that some of these people would behave this way? I'm talking in the tree and not only is it raining, but it's the biggest thunder storm in fifty years. And they're naked. That kind of outrageous. I wrote a scene earlier today in which a couple of characters make a major life decision basically on a dare. Which is not how real people behave**, and if real people don't behave that way, why would anyone believe a fictional character would? I have other characters who exhibit jaw-dropping selfishness; another who cannot issue a compliment without it coming out an insult. Another whose sense of entitlement is elevated to an up-the-tree-naked-in-a-hurricane--and-zombies-are-roaming-the-countryside level. All of this, completely outrageous, so much I have to wonder, will the reader buy it? Real people are outrageous. Behave outrageously. Do outrageous stuff, all the time, every day. Peruse the news, flip on the TV, heck, just check a Twitter account, and suddenly almost anything I write, no matter how high up a tree I put my people, is believable. I think half the reason it's fun to read is that we are so relieved it wasn't us. This time. *My first draft is really my second draft, because I compose longhand. As I transcribe, I complete the first round of edits. So when I show up at our lake house in December, I will have a second draft ready for the next round of revisions! **Not that any of my events would ever be based on personal experience. Ahem. I'm not telling. You have to wait for the book. And I'm not telling then, either. Do you hear me, Terry Gross? Last week, the six of us spent the evening at the Richardson Reads One Book event, hearing Jamie Ford discuss his bestseller: Hotel on the Corner of Bitter and Sweet. As we were standing in line to talk to Jamie, the six of us began discussing our upcoming retreat. We really weren't all that quiet while we talked about what we loved about last year's place, where we might want to go this year, who was willing to room with whom, and so forth. As we let the others go ahead of us, a lady who graciously moved up in the queue leaned in and asked me, "Are y'all related?" I wondered if she thought we might be planning a family reunion--a gathering of sisters or cousins who really don't resemble each other that much. "No," I said. "We're writers." But maybe I answered too quickly because we are a family. We're bonded in a way that makes me know I have five women who have my back. And while we've never lived under one roof (except for during our annual retreats, which last three days and nights), we do reach out to each other--either over lunch, phone calls or emails. Not a day goes by that I don't hear from at least one of the other five. And even though, due to work and family commitments and the distance between our homes, we don't get together as often as we'd like, we might meet two or three at a time. When Susan transitioned from full-time, work-at-the-office employee to work-from-home consultant, she and I met for lunch and talked for hours about her new role. When Julie's book deal went to auction, Susan grabbed lunch and half a dozen cupcakes and went over to Julie's house to hold vigil, while we all eagerly waited to hear the news. This week, Elizabeth and I have a lunch date planned to discuss her new manuscript and figure out some details about where mine is heading. And next month, Joan and I are driving to Austin for a Writers' League of Texas workshop we both thought would serve us well. Last week I paid the deposit on our new retreat location at a lake house that usually hosts scrap-bookers. (A couple of emails went around to explain to Susan what the heck a 'crop table' was; we'll use them for critique sessions.) When I told the home's owner that we were a group of writers, she said, "Oh, we've never had writers before." "Well, we're a lot of fun," I told her. "We're like sisters." If you write and don't have the support of like-minded souls, I urge you to get out there. Write in public, don't hesitate to tell others that you're a writer, attend author events, seek out writing groups, go to conferences, check out online groups like Backspace. I know my life has been made all the more richer because I got out from behind my computer and met My Fabulous Five.